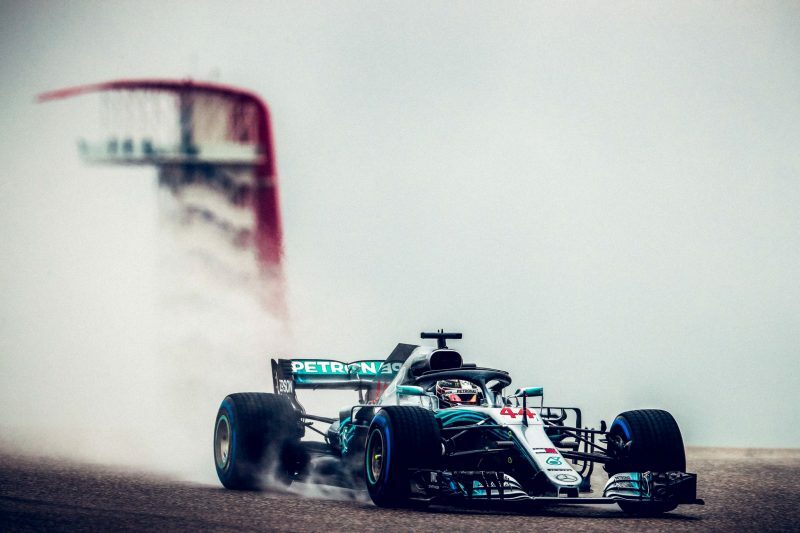 Lewis Hamilton dominated the opening day of practice at the Circuit of the Americas as heavy rain marred Friday at the United States Grand Prix. Hamilton’s best time set in opening practice proved the fastest of the day, which saw limited running and long periods of inactivity on track. 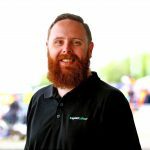 The Championship battle, which could see Hamilton crowned for the fifth time this weekend, took a blow when Sebastian Vettel was handed a three grid place penalty. Stewards judged he’d circulated too quickly under red flags during practice one, handing him a three place penalty for Sunday’s race. There was no running at all in the first half of second practice, and then only a handful of teams braved conditions in the first hour. It followed an opening practice session that was similarly slow, with track action only picking up well into the session. Daniel Ricciardo and Max Verstappen were the first to set representative times, a 1:49.386s from Ricciardo the early pace. That moved after half an hour when Bottas recorded a 1:48.806s. A spin from Charles Leclerc at Turn 9, driving through the gravel before rejoining. The off dragged kitty litter onto the circuit, drawing a red flag for the track to be cleaned before restarting 10 minutes later. During that period Vettel was judged to have driven too fast under red flag conditions, which saw him summoned to the stewards room post-session, electing to hand him a thee grid place penalty. In the back half of the session Hamliton headed out to record the best lap of the session, 1:47.502s proving 1.3s faster than team-mate Bottas. Verstappen ended the opening session third from Ricciardo with Carlos Sainz in fifth. McLaren sported Lando Norris in place of Sotffel Vandoorne, the Englishman ending 12th fastest, one place behind team leader Fernando Alonso. Heavy rain saw teams remain in the garage during the first half of Practice 2, Brendon Hartley the first car out as the heavy rain finally stopped. It was the New Zealander’s first lap of the day having sat out opening practice as Sean Geleal took the wheel. Sergey Sirtokin braved a set of intermediate tyres as the session ticked into its final quarter of an hour, though the circuit was still far too wet and his effort proved more than two seconds slower than the times set of full wets to that point. Ricciardo’s day came to an early end, the Australian opting not to head out as the team began preparing the car for Saturday before Practice 2 had ended. On track times were slower than the morning’s running, Hamilton banking a 1:48.716s on his first flying lap inside the last five minute of the session. It was a time 1.5s faster than anyone else had managed in the session, including Vettel who was on track with a set of tatty intermediate tyres that had completed more than 20 laps. Behind Hamilton was Pierre Gasly in second ahead of Verstappen, Alonso, Nico Hulkenberg, and Brendon Hartley. Five drivers elected no to go out with Sainz, Ricciardo, Romain Grosjean, Kevin Magnussen, and Bottas all keeping their powder dry. Final practice continues on Saturday morning before qualifying which is scheduled to commence at 0800 AEDT (1600 local time).